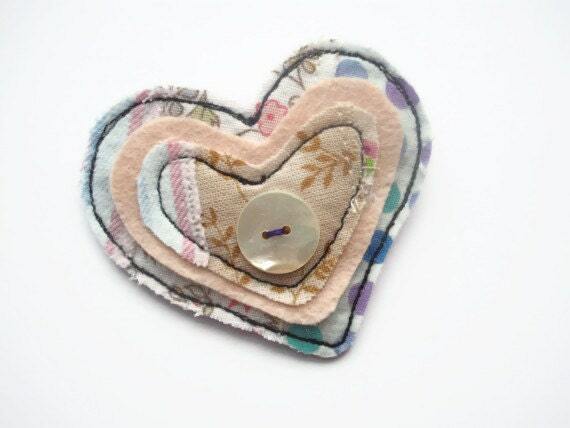 This Heart is made from a mix of cotton fabrics and has been free motion stitched on my sewing machine. This gives you a unique piece every time! I have then hand embroidered further details and added a vintage button. The heart has a pin back with a safety catch and has been backed in felt for a professional finish. This item looks lovely pinned to a coat, bag or cushion and makes such a special gift. The heart measures 2.5 inches across at its widest point.